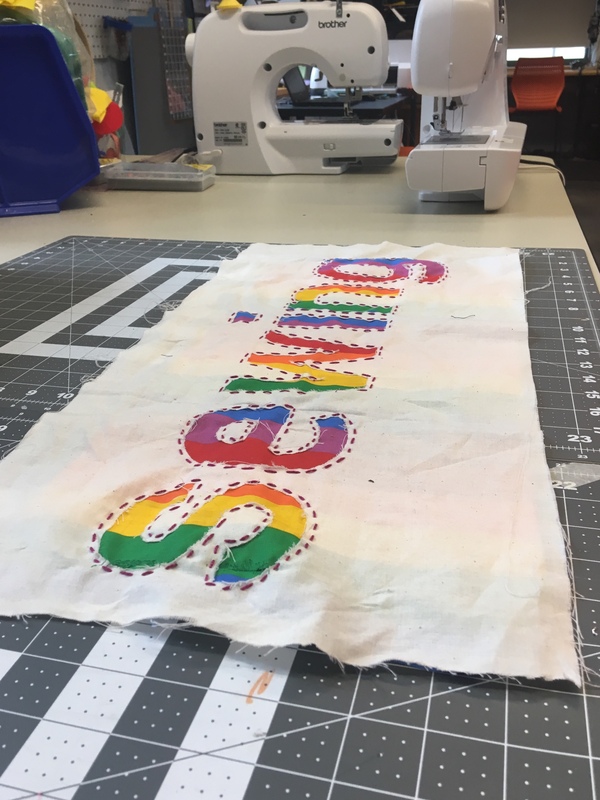 If you’ve heard about the library’s ideaLAB makerspaces, you might think about cool technologies like 3D printing, music recording, and laser cutting, but did you know that every ideaLAB also has supplies for crafty endeavors, like sewing machines? Stop in to use the ideaLAB sewing machines to hem your pants, sew curtains, or just learn how to stitch. Whether you’re an experienced sewist or wanting to learn how a sewing machine even works, you can visit the ideaLAB nearest you during open lab hours to use one of our machines. There will be helpful staff around to guide you and a small amount of supplies to help you get started on a project. If you’ve got your sights set on a full-sized garment or quilt project, you’ll need to bring your own materials. Excited to use the cricut machine!